1. 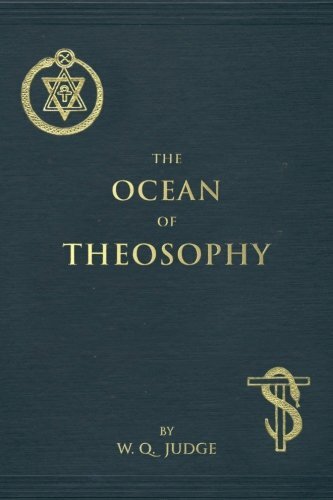 “[Theosophy is] the sub-stratum and basis of all the world-religions and philosophies taught and practised by a few elect ever since man became a thinking being.” — Theosophical Glossary, “Theosophia” (Original Edition, 328). 2. “The WISDOM-RELIGION was ever one, and being the last word of possible human knowledge, was, therefore, carefully preserved. It preceded by long ages the Alexandrian Theosophists, reached the modern, and will survive every other religion and philosophy.” — The Key to Theosophy (O.E., 7-8). 3. “Proofs of its diffusion, authentic records of its history, a complete chain of documents, showing its character and presence in every land, together with the teaching of all its great adepts, exist to this day in the secret crypts of libraries belonging to the Occult Fraternity.” — The Secret Doctrine (O.E., I, xxxiv). 4. “The members of several esoteric schools … claim to have in their possession the sum total of sacred and philosophical works in MSS. and type: all the works, in fact, that have ever been written, in whatever language or characters, since the art of writing began; from the ideographic hieroglyphs down to the alphabet of Cadmus and the Devanagari.” — The Secret Doctrine (O.E., I, xxiii). 5. “The work now submitted to public judgment is the fruit of a somewhat intimate acquaintance with Eastern adepts and study of their science.” — Isis Unveiled (O.E., I, v). 6. “The writer [H.P.B.] loves them too [Ancients], and therefore believes in the ancients, and the modern heirs to their Wisdom. And believing in both, she now transmits that which she has received and learnt herself to all those who will accept it.” — The Secret Doctrine (O.E., I, xxxvii). 7. “What I do believe in is (1) the unbroken oral teachings revealed by living divine men during the infancy of mankind to the elect among men; (2) that it has reached us unaltered; and (3) that the MASTERS are thoroughly versed in the science based on such uninterrupted teaching.” — Lucifer (October 1889, p. 157). 8. “The SECRET DOCTRINE is not a treatise, or a series of vague theories, but contains all that can be given out to the world in this century.” — The Secret Doctrine (O.E., I, xxxviii). 9. “No Master of Wisdom from the East will himself appear or send anyone to Europe or America … until the year 1975.” — Preliminary Memorandum: Quoted in THEOSOPHY, Vol. I, p. 455. That was over a quarter of a century ago. More than ever her philosophy and teachings, for which she disclaimed all proprietary rights, crediting her Eastern Masters with their merit and wisdom, are in a greater demand. That Russian woman bore the name of Helena Petrovna Blavatsky. There is hardly any other name round which such storms raged from 1875 to this day. Not mere criticisms, not only attacks, but death-blows were levelled at her character, teachings and work, yet these have survived to inspire and illumine the hearts and minds of men, though she herself has become invisible to the eyes of flesh. H. P. Blavatsky has written two large works each in two volumes comprising thousands of pages — Isis Unveiled and The Secret Doctrine. They discuss outworn theology and modern science; they treat of philosophy, speculative and practical; of symbols, emblems, myths; of every branch of advancing “exact” science; of the birth and evolution of solar systems; of the origin and genesis of collective humanity; of races of mankind, ethnological and psychological; of man, physical and psychical and spiritual; of matter and mind and soul; of languages and crafts unknown or little known or wrongly known; of ancient traditions and modern culture; of gods and atoms; of solar physics and occult chemistry; of chronology and calendars, old and new; of the science of numbers; of Indian Puranas and Egyptian Pyramids; of lost continents and legends of surviving ones; of — glance at the Contents of these four Volumes and at the Index to each of the two works. But something more: H. P. Blavatsky was a prodigious writer of magazine and newspaper articles in French and English besides in her own mother-tongue of Russian. Not only on spiritualism and mysticism, on occultism and occult arts, but also on magic and masonry; on yoga and yogis, on dying tribes of Todas and Mulakarambhas and modern movements like Arya and Brahmo Samaj; on Indian metaphysics and European hierophants; on dreams and facts, on phenomena, physical and psychical, on Jews and Gentiles and Heathens and Christians. Read by her, A Modern Panarion, The Caves and Jungles of Hindustan, turn over the numerous volumes of The Theosophist, Lucifer, The Path and several other periodicals and make note of the variety of subjects handled; their masterly treatment. If you desire a connected, sequential, lucid presentation of her system of thought read The Key to Theosophy. Do not stop there. Procure a copy of The Voice of the Silence. This pocket book contains wisdom of priceless value. If it is too deep in its philosophy, ponder over its ethics. If these too are impossible or difficult of practical realization, read it as a literary production and be charmed by its rhythmic cadence and beauty of language. The poet’s heart, the philosopher’s mind, the prophet’s power reveal their beauty and acumen and energy. “The greatest fraud of the 19th century!” — Oh! that we had more of them. But those nine statements? How can an intelligent 20th-century person accept them? A system “which is as old as thinking man”; which is “the last word of possible human knowledge”; which has “reached us unaltered”; all via this Russian woman? “Impossible” — exclaims the modern man. How egotistic and ludicrous that a book of two volumes “contains all that can be given out to the world in this century,” and what a playing the prophet — “No Master of Wisdom from the East will himself appear or send anyone to Europe or America … until the year 1975”! And yet — she talks of “proofs,” and “authentic records,” and “a complete chain of documents,” and the existence of “the teachings of all its great adepts.” Shall we not seek for all these? Shall we not demand the proofs and the records and the documents and the teachings which “exist to this day in the secret crypts of libraries belonging to the occult fraternity”? Are we to regard Theosophy in any way as a revelation? In no way whatever — not even in the sense of a new and direct disclosure from some higher, supernatural, or, at least, superhuman beings; but only in the sense of an “unveiling” of old, very old, truths to minds hitherto ignorant of them, ignorant even of the existence and preservation of any such archaic knowledge. Here is a somewhat novel position: we are offered proofs, are implored to examine and judge, to investigate and ascertain; not to believe in any revelations but to test and check and verify teachings on their own merit. If that is not a scientific attitude, what is? Believers and sceptics become blind believers and unreasonable sceptics when they fall prey to fanaticism. Our task here is to study, to examine, to judge; to investigate relentlessly but honestly; to believe nothing unless the proof is found, but also not to reject anything when that proof is obtained. Not by the way of phenomena but by that of philosophy; not swayed by the personality but by adhering to principles; not by blind faith but by illumined reasoning; not by argumentation but by meditation; not by foolish credulity but by intelligent cooperation; not proceeding from the teacher to the teachings but examining the consistency, the logic, the inherent truth, the reasonableness and the completeness of the teachings themselves. Throw the light of all available knowledge on the teachings; throw the light of these teachings on all available knowledge; by mutual comparison and keen criticism judge the teachings of H. P. Blavatsky. Knowledge and not belief is what H. P. Blavatsky offered. If today the world of knowledge does not to a greater extent examine her teachings it is because her many followers are denizens of the world of belief; alas! even a greater number, adopting the appellation of her system of thought, display crass ignorance of it. An impartial and critical study of her system of thought, not with a desire either to prove that she is right or to prove that she is wrong, but to find out what her teachings are: that is what is wanted. Do they solve the intricate problems which confront us? Do they illuminate our intelligence? Do they satisfy the yearnings of the human heart? Do they inspire us to a noble life-struggle, to a greater altruism, to a grander selflessness? Above all are they in harmony with the established facts of ancient science, proven laws of ancient ethics, profound truths of ancient philosophy? Do they illumine the obscure and make known that which is unknown today but which has been fully known in the past? While performing such a miracle, do these teachings clearly convey through their innate and inherent nature that they have escaped the fault, and the degeneration it brings, of their teacher’s ahankara, egotism, which incarnates in the teachings? Richter, the German thinker, once wrote: “I have heard that some philosophers in seeking for Truth, to pay homage to her, have seen their own image in the water and adored it instead.” Has Mme. Blavatsky done this? These are the tests. Along such lines the proofs must be sought. Theosophy is divine knowledge, and knowledge is truth; every true fact every sincere word are thus part and parcel of Theosophy. One who is skilled in divine alchemy, or even approximately blessed with the gift of the perception of truth, will find and extract it from an erroneous as much as from a correct statement. However small the particle of gold lost in a ton of rubbish, it is the noble metal still, and worthy of being dug out even at the price of some extra trouble. As has been said, it is often as useful to know what a thing is not, as to learn what it is. Is she “the greatest impostor of the 19th century”? Is she The Messenger of the Ancient Fraternity to the century which dawned in 1875? The answer to these questions must not be sought in the incidents of her life, in the criticisms of her opponents or the praises of her followers, nor even in the opinions of the reviewers of her books, favourable or adverse, but in her teachings themselves. (1) Isis Unveiled, Vol. I, p. xi. (2) The Key to Theosophy, p. 300. (3) S.D., Vol. I, p. xix.